As discussed in an earlier post, courts are increasingly finding privilege waiver when a party either fails to submit a privilege log or submits an insufficient one. And a Delaware court has now elevated the privilege-log requirements when a governmental agency asserts the deliberative process privilege. State Dep’t of Transp. v. Figg Bridge Engineers, Inc., 2013 WL 5365384 (Del. Super. Ct. Aug. 13, 2013). You may access the opinion here. In Figg, the Delaware Department of Transportation asserted the deliberative process privilege in an effort to preclude production of a retained investigator’s analysis of a bridge-embankment failure. In a ruling profiled in an earlier post, the court refused to recognize the deliberative process privilege. But the court nevertheless scolded the government agency for its insufficient privilege log. The subject matter of each communique sufficient to show why the privilege is warranted, as well as whether it pertains to the decision or decisions in question, including the facts to bring each document within the narrow reach of the privilege. 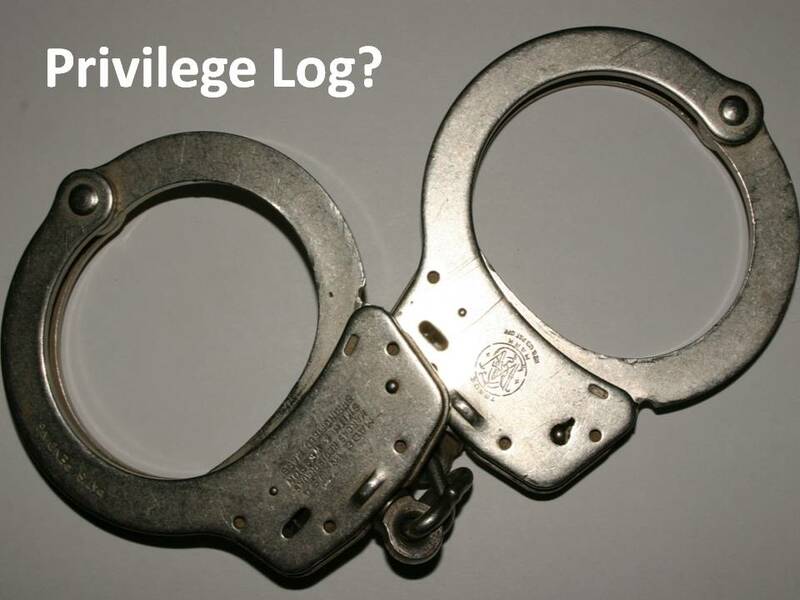 The court stated that, in essence, the privilege log must contain information to show that each document is “both pre-decisional and deliberative.” In other words, the government agency’s privilege log must include enough information to allow the court to determine how each document fits into the deliberative process. Boilerplate language and conclusory statements do not meet these strict requirements. The Department of Transportation included dates and descriptions of the putatively privileged documents, with the descriptions including “analysis of,” “analysis of embankment failure report,” “discussion of,” “notes and handouts,” “draft of,” and “notes of.” The court found these descriptions inadequate because they did not provide sufficient detail or explanation to identify the deliberative material. And the court emphasized that the government agency must provide a sufficient description for each document, suggesting that the agency lacked good faith because it cut and paste some of the privilege-log entries.